Since it was first struck by the Royal Canadian Mint in 1979, the Canadian Gold Maple Leaf Coin has become one of the world's most popular pure gold bullion coins. Trusted for its 24k gold bullion purity (it was the first coin ever to achieve a purity level of .9999 fine) and admired for its beauty (a product of the Royal Canadian Mint's high tradition of artistry, craftsmanship and technical excellence), this gold bullion coin is legal tender in a country well-known for its stability, independence, and freedom. The Canadian Gold Maple Leaf Coin's fine gold bullion content and purity are guaranteed by the Government of Canada. You can store your 1/20 oz Gold Canadian Maple Leaf Coin safely and securely with Kitco Allocated Storage. Kitco offers you global options for gold, silver and platinum bullion storage that is fully segregated, insured and allocated. Kitco's network of top-tier vaults includes some of the most secure storage facilities in the world, in Canada, Hong Kong or the United States (COMEX approved). Cayman Islands storage is also available (certain conditions apply). Find out more about keeping your gold, silver and platinum purchases secure, with our Global Precious Metals Storage Solutions. The Royal Canadian Mint is a Canadian crown corporation that mints all of Canada's circulation and gold bullion coins. Since it released Canada's first domestically produced coin in 1908, the Royal Canadian Mint has acquired a global reputation for minting excellence. Today, the Mint's superior technical capabilities allow it to set new benchmarks in gold coin design and quality and make it the producer of choice for even many foreign countries' official circulation coinage. Why buy 1/20 oz Gold Maple Leaf Coins from Kitco? 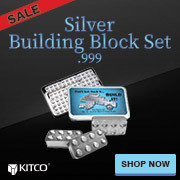 Kitco is a highly trusted leader in the gold bullion and physical precious metals industry. Gold coins and other precious metals sold by Kitco are recognized in gold bullion coin markets around the world. With our focus on gold bullion coins, you can benefit from our low gold coin prices and premiums that are highly competitive in the gold bullion industry. At Kitco, we make it easy for you to manage your tangible wealth. You can or sell or buy gold coins and other precious metals using our convenient online store, or by contacting our team of highly trained precious metals specialists. Backed by our global information network, Kitco has proudly served our customers since 1977. The 1/20 oz Gold Maple Coin(s) you receive may not be in mint condition. The 1/20 oz Gold Maple Leaf Coin(s) you receive may be from a different year’s mintage and the appearance may be slightly different from the 1/20 oz Gold Maple Leaf Coins illustrated here.